The federal government’s wire fraud case against Christian Dawkins, Merl Code, and James Gatto for allegedly using Adidas’ money to pay college basketball recruits is nearing its conclusion, as the District Court judge in charge of the case reportedly told the jury today that deliberations could begin as early as Thursday. 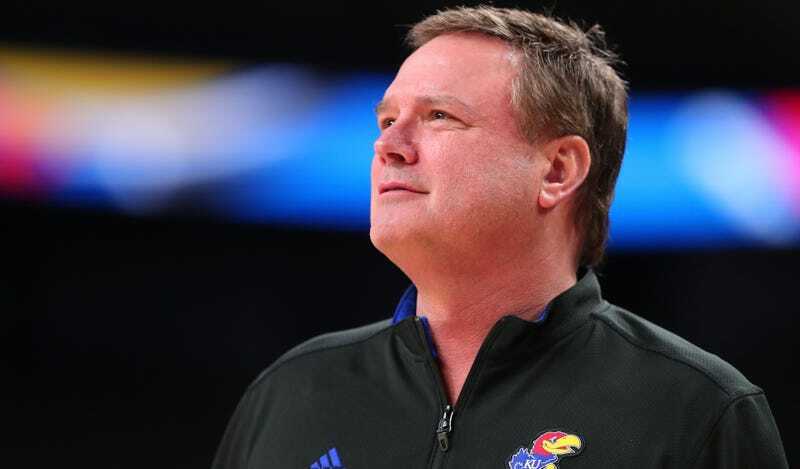 Former Adidas consultant T.J. Gassnola testified last week that he paid $90,000 to former Kansas player Billy Preston, and agreed to pay $20,000 to current Jayhawk Silvio De Sousa, though he said today that neither KU coach Bill Self nor his assistant Kurtis Townsend knew anything about the payments. “We good,” Self asked via text. In September, Gassnola texted Self to congratulate him on the $191 million sponsorship deal Kansas was about to sign with Adidas. Self replied, “I’m happy with Adidas. Just got to get a couple real guys.” Gassnola later told Self, “I have never let you down. Except Dyondre lol. We will get it right,” a reference to DeAndre Ayton, to whom Gassnola said he paid $15,000 on behalf of Adidas when Ayton was a high school junior. Aside from the fact that Gassnola might have failed to turn Ayton to Kansas because he doesn’t know how to spell his name, the takeaway here is that the entire system of payments to high school athletes is so shady, predatory, and convoluted because the NCAA’s hollow farce of “amateurism” forces it all underground. College basketball is a big enough business that labor needs to get paid, and if the NCAA won’t let it happen above ground, then it falls on a vast network of con artists, AAU hucksters, and shoe company “consultants” to funnel money to players. That hurts everyone, and we wouldn’t have to go through this embarrassing trial for the sanctity of the game or whatever if the NCAA wasn’t such a greedy cartel of an organization. Report: Adidas Allegedly Funneled Money To Families Of DeAndre Ayton And Dennis Smith Jr.